2016 was notable for being the 75th anniversary of two of my favorite brands: Jeep and M&Ms. 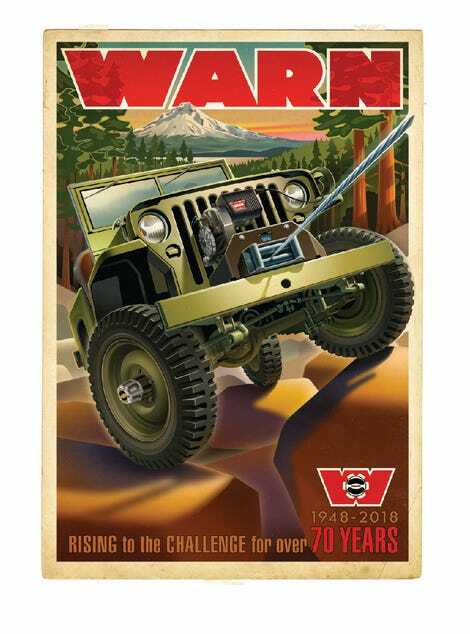 2018, I just discovered, was the 70th anniversary of Warn winches. I don’t own one, but when I saw their anniversary art, I had to order that sweet merchandise. A winch will have to wait. It’s a tin sign, also available as a shirt. Ordered both. I adore retro art like this, and of course Jeep.